Some months ago a few of the finest young producers from Czech Republic and Slovakia had a wonderful chance to meet together and work on some music. That happened thanks to Red Bull Music Academy Bass Camp in Bratislava. Filled with joy and delight part of them decided to meet up again and undertake this creative outburst once again. 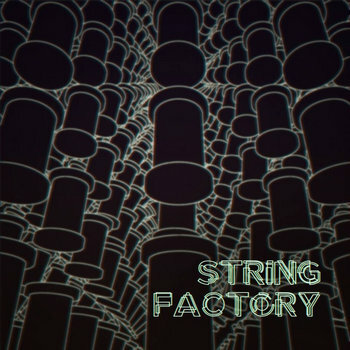 So thanks to Atelier Bavlna and Red Bull, Fallgrapp, FVLCRVM, Jimmy Pé and Stroon gathered together again on the premises of the String Factory. The guys were joined by two up-and-coming lady producers and vocalists Tante Elze and Nika Mi. The outcome is a 6 track compilation offering insight into what a co-op of Slovak producers sounds like, released now on GERGAZ Label. The set is rich in terms of tempo, atmosphere, influence and styles and it’s kicked off with an all-in-one banger “Doesn’t Matter” by FVLCRVM and Jimmy Pé. Next up is a lyrical and fantasy-like “Baby Boy” by trio Fallgrapp, Stroon and Tante Elze. FVLCRVM comes up with a vocal percussive sound trip “Pink”. The beat gets straighter as Fallgrapp and Stroon brought some tech/trance approach to retro synths called “X-Type”. Cinematic wobbly half-tempo “Hit Me” by Jimmy and Fallgrapp comes one before last and the compilation concludes with soulful and slow “Daydreams” by long-term cooperators Jimmy Pé and Tante Elze.